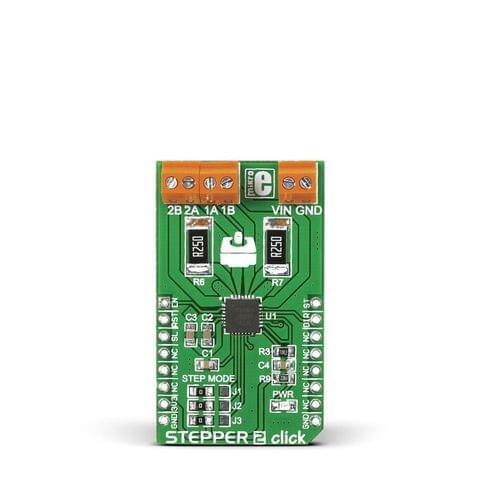 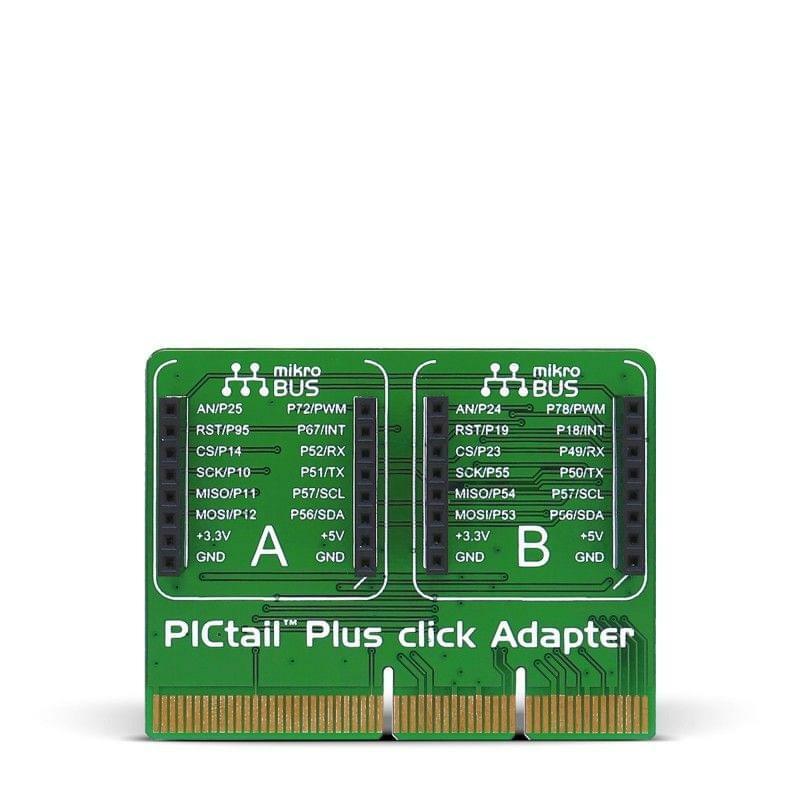 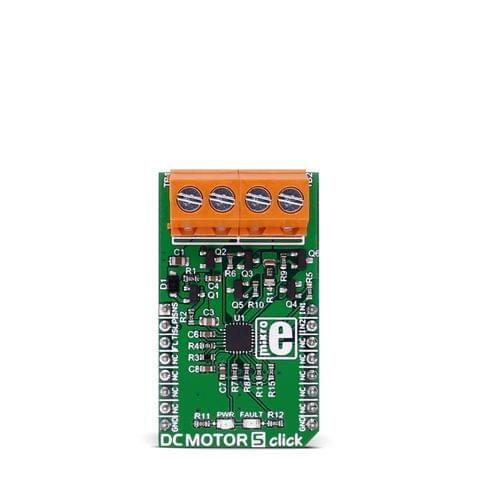 PICtail™ Plus click Adapter allows you to add click boards™ on the Explorer 16 Development Board from Microchip. 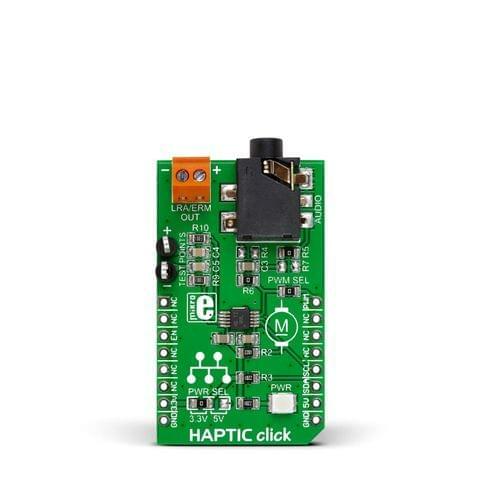 It's an adapter with two mikroBUS™ sockets for click board connectivity. 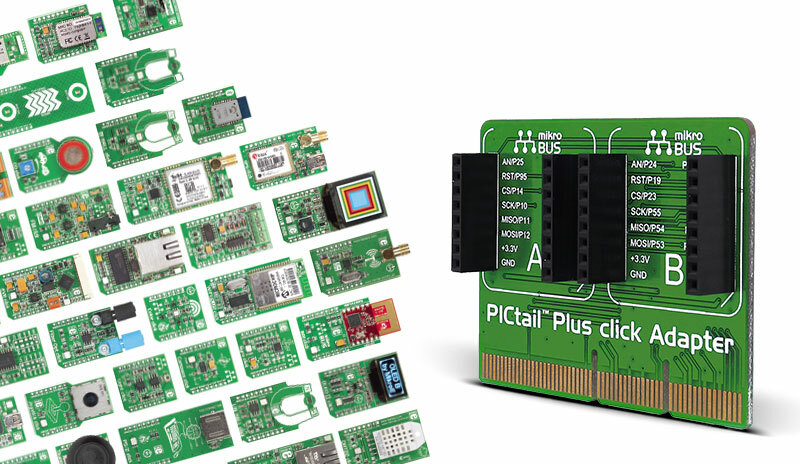 PICtail™ Plus click Adapter acts as a host for two click boards™. 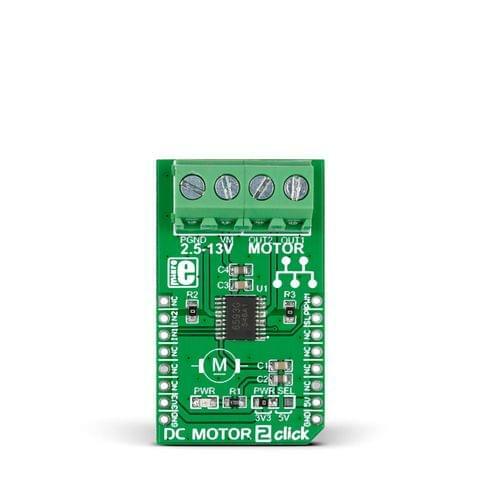 With more than 280 clicks in our shopand the range constantly expanding you can make amazing combinations of functionalities. 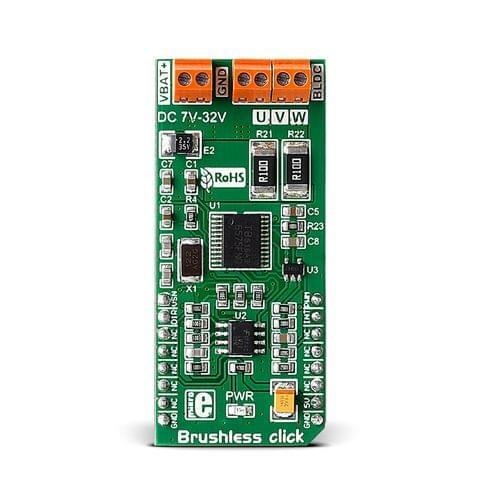 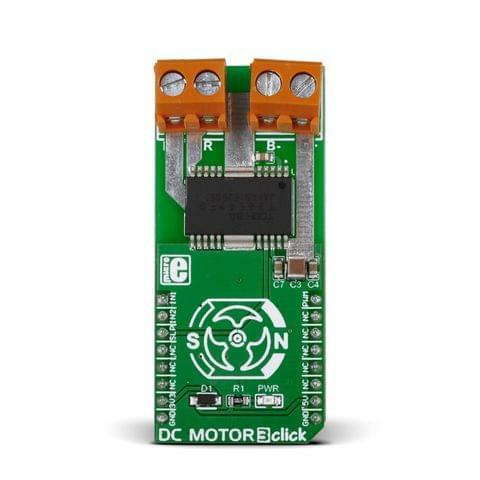 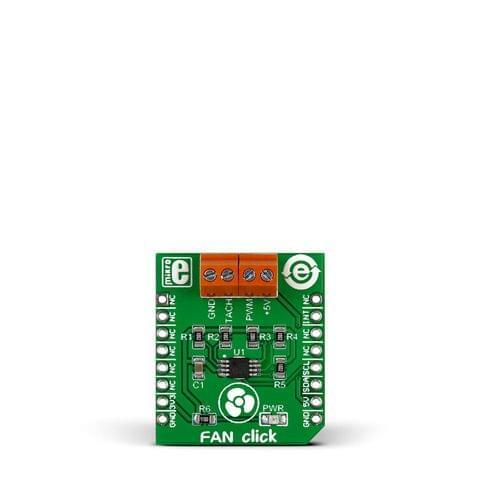 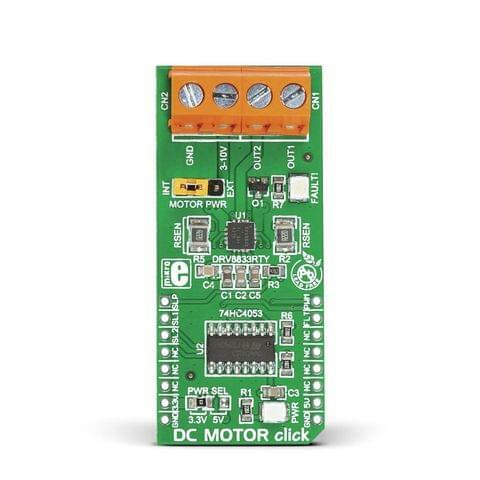 Add WiFi connectivity, GPS, proximity or color sensing, temperature sensors and more. The PICtail™ Plus click Adapter plugs into the Samtec card edge connector onboard the Explorer 16 Development Board. 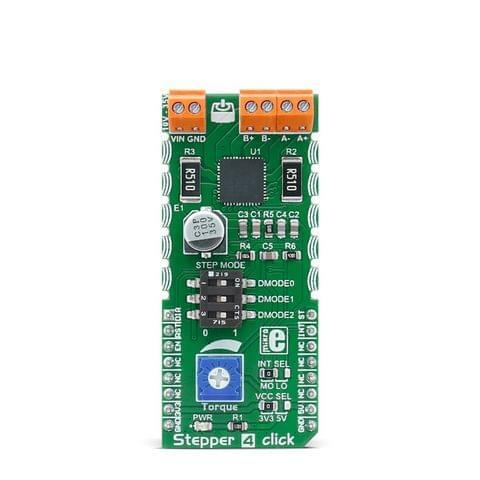 The Explorer 16 Development Board is a low-cost modular development system for Microchip’s 16-bit and 32-bit microcontrollers. 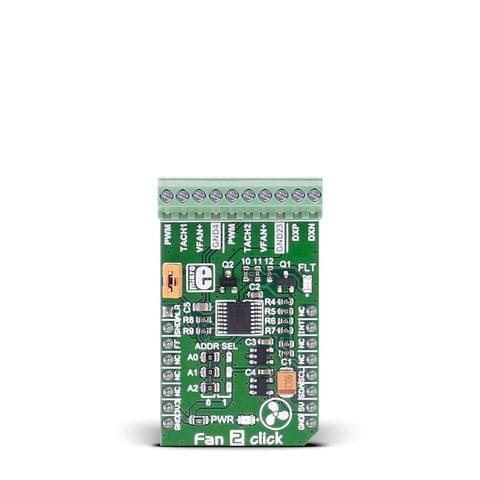 It supports devices from the PIC24, dsPIC and PIC32 families. 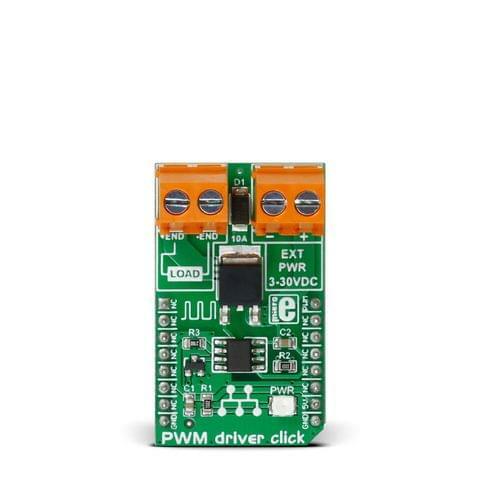 A variety of families supported with processor Plug-In Modules (PIMs) for easy device swapping.